Each year nearly 15,000 civilians are injured in fires, and more than 3,000 die. Unfortunately, elderly adults are at the highest risk of experiencing death as a result of a fire, and challenges such as cognitive functioning decline can put your parent at even greater risk. If your senior is living with cognitive functioning decline, they may be more likely to make dangerous choices that can put them at higher risk of experiencing a residential fire. Their diminished functioning can also make it more difficult for them to get out of the house if a fire occurs. As their family caregiver, it is important for you to take steps to protect your parent from the potentially devastating consequences of a fire by making modifications throughout their home, and encouraging them to avoid dangerous behaviors and choices. 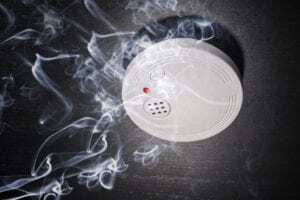 Create a fire safety plan with them and review it regularly. Make sure they know how to respond to a fire. Post pictures of escape routes throughout the home. Remove real candles from their house. If your senior enjoys the light of candles, replace them with flameless options. Disconnect the stove and oven so your parent cannot turn them on and not turn them off. Make sure space heaters have an automatic shut-off feature for if they get tipped over. The best way to keep a senior with cognitive functioning decline safe is to make sure they are not alone for long stretches of time. For those with more advanced decline, it may never be safe for them to be alone in their home. Introducing home care into their care routine can ensure your parent has the supervision and assistance they need at all times, even when you are not able to be with them. This can include awake and alert care at night that can reduce a variety of risks for a senior who may wander, sleepwalk, or get out of bed at night and exhibit risky behaviors. Caring for an elderly adult who is living with cognitive functioning decline can be challenging and even overwhelming, but you are not alone. Home care is available to provide a source of support and care that can be meaningful to your senior, as well as to you as their family caregiver. 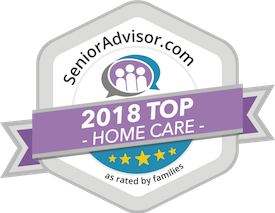 An in-home senior care services provider can step in to fill care gaps, manage socially sensitive tasks, provide supervision and companionship, and allow you to have a more flexible schedule and more time to manage the other needs in your life, including yourself. Not only does this ensure your senior has the care that will help them to stay safe and healthy, but it also promotes greater independence now, and into the future as their challenges progress.